Fans of Dario Argento’s cult classic horror film ‘Suspiria’ will not want to miss this special night. 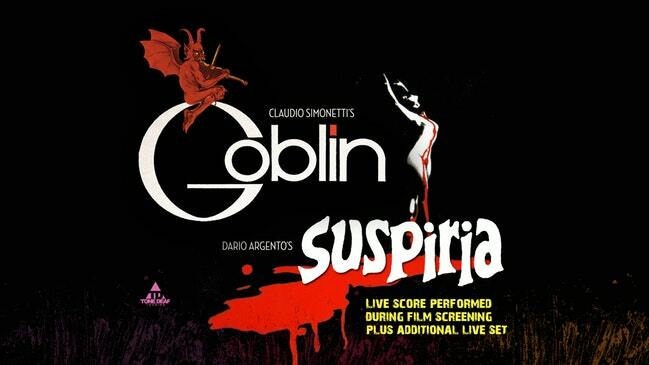 On November 2nd, Claudio Simonetti, together with Bruno Previtali and Titta Tani (of New Goblin) and Federico Amorosi (of Daemonia), will perform the original score live during a screening of the movie, and then an additional live set! Tickets range from $30 for general standing room to $75 for reserved seating. Suspiria is a 1977 Italian supernatural horror film directed by Dario Argento. The film stars Jessica Harper as an American ballet student who transfers to a prestigious dance academy in Germany but realizes, amidst a series of brutal murders, that the academy is a front for a supernatural conspiracy. Sign up for our mailing list for the latest on new attractions, discounts, giveaways and more!